Garchoblaz in game: 750 Who? Important notice! 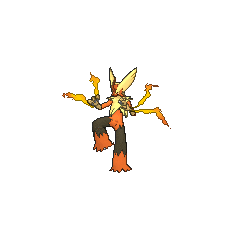 Pokemon Garchoblaz is a fictional character of humans. 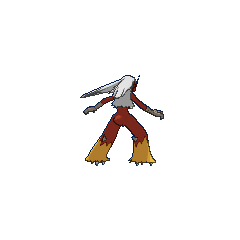 Blaziken was first seen in Pop Goes The Sneasel. Harrison used it to defeat the Sneasel that was blocking access to the flame of Ho-Oh. 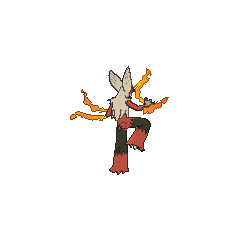 Harrison later used Blaziken in a climactic battle with Ash's Charizard. 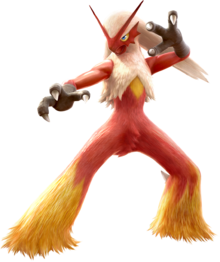 In Once More with Reeling, May's Combusken evolved into a Blaziken. She brought it with her to Johto, and it was one of the Pokémon she used when she returned in A Full Course Tag Battle!. A Blaziken was also seen in Destiny Deoxys under the ownership of Rafe. 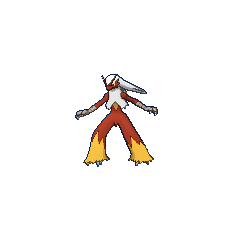 Its Mega Evolution debuted in Kalos, Where Dreams and Adventures Begin!. It has continued to appear throughout the series, mostly within Lumiose City, but also in Mega-Mega Meowth Madness! 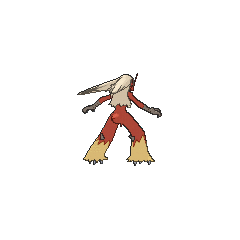 where its Trainer, Blaziken Mask, is revealed to be Meyerin disguise. 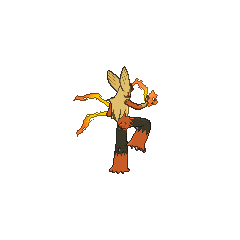 A Blaziken appeared in The Cave of Trials! under the ownership of Korrina's grandfather Gurkinn. 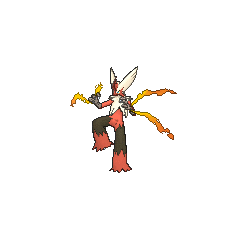 Another Blaziken that can Mega Evolve into Mega Blaziken appeared in Mega Evolution Special II. 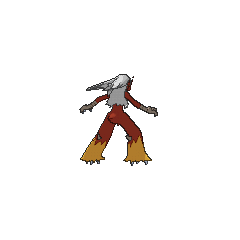 A Blaziken appeared in the Hoopa's Surprise Ring Adventures short Heated Battle. 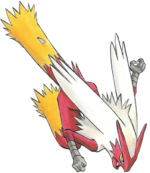 A Coordinator's Blaziken appeared in Last Call — First Round!. 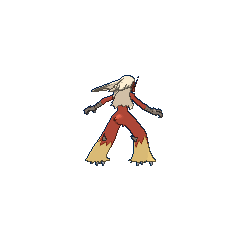 It was used in a Double Performance along with a Sceptile in the Sinnoh Grand Festival. 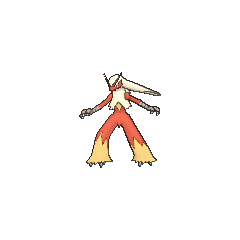 A Blaziken appeared in Alexa's magazine in The Journalist from Another Region!. 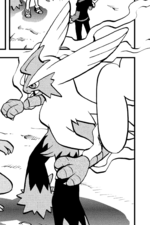 A Blaziken that can Mega Evolve into Mega Blaziken appeared in Mega Evolution Special I.
Sapphire owned a Combusken that evolved into Blaziken in I Dare Ya, Altaria... Knock Chic off My Shoulder when she met up with Winona. Although it was unable to win the battle even with its increased power, subsequent training allowed it to earn Sapphire the Badge and back Archie and Maxie's Pokémon into a corner twice. In the Emerald chapter, Sapphire used Blaziken to fight her way into the top floor of the Battle Tower. 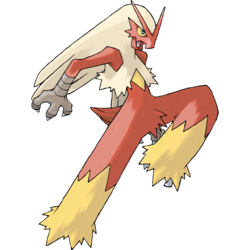 Erases Pokémon (max 3) of the same type as Mega Blaziken.